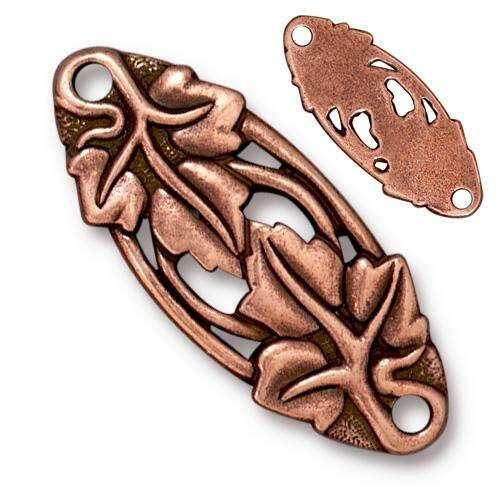 TierraCast Antiqued Copper vine and leaf connector or centerpiece. The back is flat. There is a hole at each end. Length: 33.4mm long X .13.3mm wide X 2.3mm thick.